Big and massive thanks to YOU, my family and friends for the great support in this year and for tunin’ into my radioshow Tic Tac Trance. Also thanks goes to my radiostation Party107.com and Mark Kane, you rock! Simply CLICK on the image to get to my Souncloud page for a very special 2 hours mix (35 tunes) I did for this year’s christmas, especially for YOU. 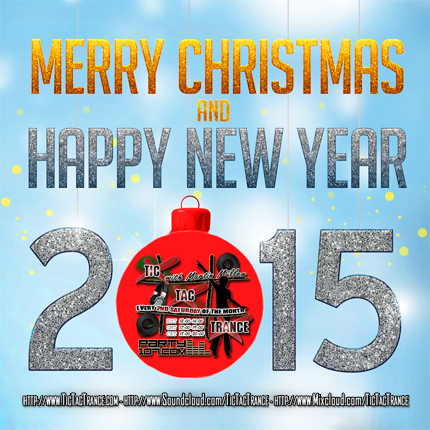 Don’t forget the Yearmix 2014 is still available as Stream & Download! 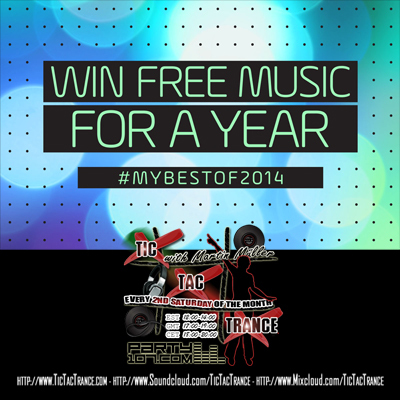 Tic Tac Trance #084: Yearmix 2014 Replay available! 85 Tunes, over 1200 Edits, and too many hours of work, this year’s final episode #084 of Tic Tac Trance will air on December 13 @ Party107.com! Together with you I’ll celebrate my favorite psychedelic & uplifting underground trance tunes of this year in a 2 hours nonstop mix. You can expect a crazy mashup festival with my highlights of this year’s trance selection. Are you interested to see HOW the mix was actual done? 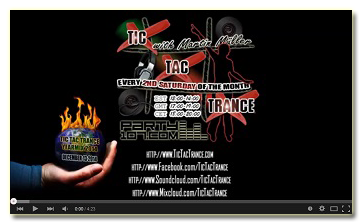 You can check out the Tic Tac Trance #084: Yearmix 2014 Time Lapse Teaser Video on Youtube.com/TicTacTrance! 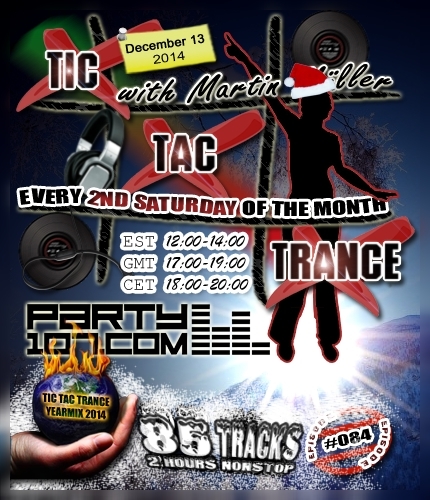 On December 13 2014 the last episode of Tic Tac Trance for this year will air on Party107.com. Episode #084 will feature the Yearmix 2014 and includes 85 of the best trance tunes, which were aired in the radioshow Tic Tac Trance or were included in my Soundcloud Mixes during the year 2014.